Most people have experience with clogged drains. For example, many have frequently used plungers to open up toilets that were slightly clogged. Others may have even purchased or used drain snakes to reach clogs that were a bit farther from the surface of the drain. High pressure water jetting is one drain cleaning method that may be unfamiliar to some. With hydro jet drain cleaning, water flows swiftly through pipes via a high-pressure hose. This powerful water stream blasts away clogs of all types, including grease and mineral deposits. In fact, a hydro jet for a sewer line can even break up smaller tree roots that may have grown into the pipes. To ensure that the process is done safely, the plumber will first inspect the drain and pipes with a camera that is fed through the pipes. What Are the Benefits of Hydro Jet for a Sewer Line or Drain? When Should High Pressure Water Jetting Be Used? 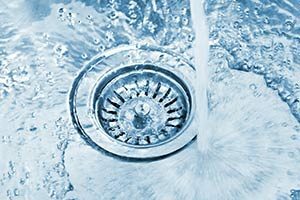 When the problem is more than surface-deep, jetting a drain is far preferable to other clog removal systems. It is best for hard deposits and tree roots and is good for thorough cleanings of very old pipes. In addition, jetting a drain is also preferred for large commercial enterprises where pipe systems are often very large and involved. Commercial hydro jet drain cleaning is a great solution for businesses with old or clogged pipes through which water runs very slowly or not at all. This service can quickly get these drains back to their original health while allowing businesses to run smoothly without any additional worries from drain backups or other plumbing problems. All County Plumbing LLC can help all area businesses with their plumbing needs whether small or large.